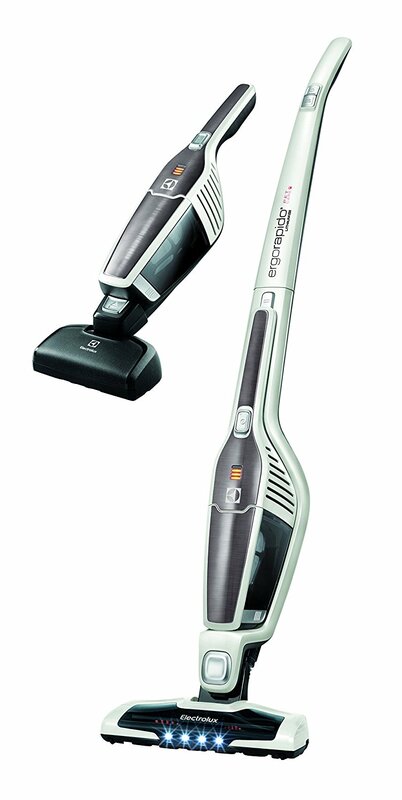 If you like to keep your home as clean as a whistle and that involves regular cleaning sessions, this cordless 2-in-1 vacuum from Electrolux will help you enjoy that clean décor you like without putting too much effort into it. The unit is powered by a lithium battery so you can use it wherever you need. 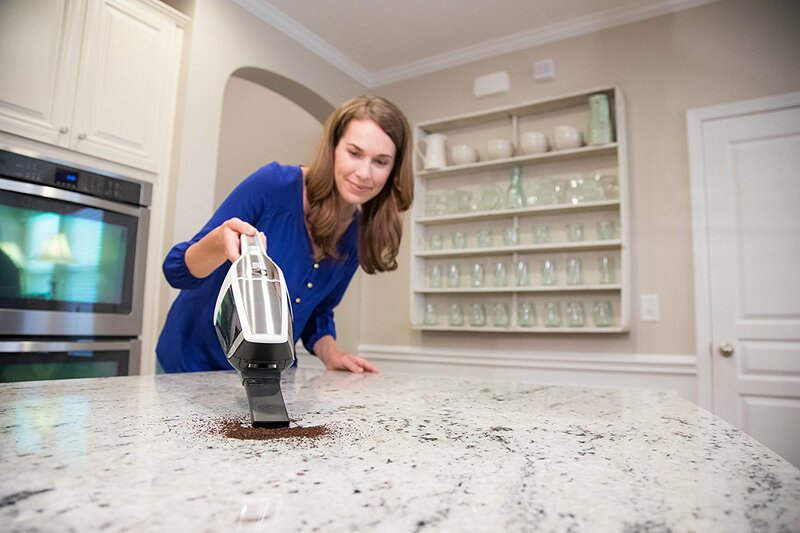 Also, it features a removable handheld vacuum to enable you to clean hard-to-reach areas as well as DustSpotter LED lights to make sure no dirt gets away. The Electrolux Petcare EL3230A is powered by a lithium battery that provides up to 30 minutes of cleaning time on a full charge. This might prove a bit inconvenient if you need to clean a greater area as you might need to pause, charge the battery for a few hours, and then continue to clean the rest of your house. However, even if the battery lasts for half an hour, the cordless design will help you reach places you could hardly reach otherwise. This unit won’t just help you clean your floor and surfaces that are placed higher than the floor but it will make the whole cleaning process easy thanks to its user-friendly design. You can quickly switch from a cordless stick to handheld use to clean tables, shelves, and higher placed objects. The hand vacuum can be removed by simply pressing the button. The product weighs 6 pounds and measures 10.5 x 5.5 x 42.5 inches, which means you can easily maneuver and store it. Furthermore, the 18- degree steer swivel will increase your ease to clean hard-to-reach areas. One of the greatest advantages of such a vacuum is that you can use it wherever you need it since it is powered by a lithium battery you will have to charge. This means you will no longer have to deal with cables spread all over your place, not to mention the risk of stumbling on them. Its cordless design and its dimensions make it easy for the user to store it and have access to it whenever cleaning is needed or messy accidents require a vacuum to remove the dirt. You will only have to take it out to turn the mess into history. Even if your place is home to a furry friend or more, your house can still be clean. The Petcare EL3230A was designed with such needs in mind. The vacuum boasts a petcare upholstery nozzle that will remove pet hair. Moreover, you have to press just one pedal for the patented self-cleaning brush roll to remove hair that got entangled and wrapped around it. The product also features DustSpotter LED lights so you can be sure no dust and dirt get away. The unit is lightweight and self-standing, which ensures ease of storage and of use.